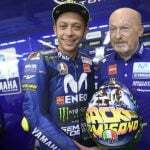 Are you a creative type that likes MotoGP racing? Have you ever thought how cool it would be to have one of the world’s best motorcycle racers wear your design on their helmet? Well, here’s you chance. 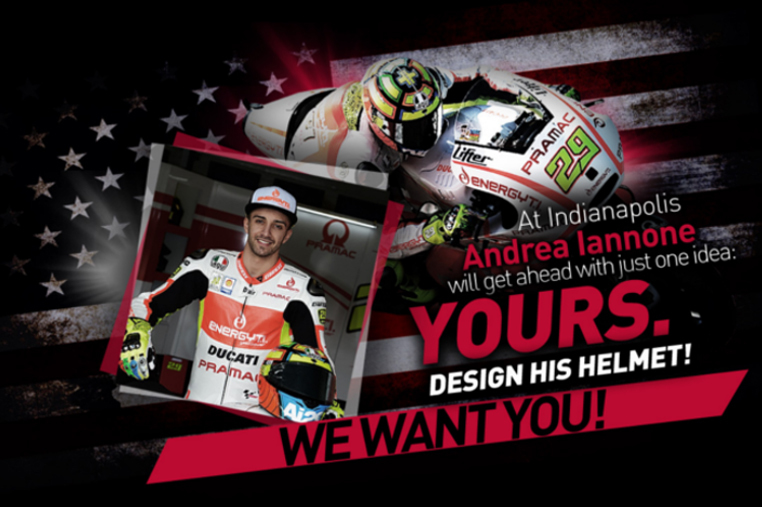 AGV and Ducati Pramac team rider Andrea Iannone want YOU to submit a helmet design, which he will wear for the MotoGP race in Indianapolis. 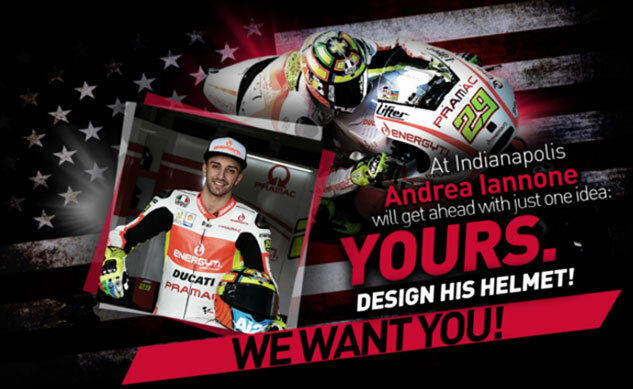 The contest is open from June 6 to June 28 and registration forms can be found at www.agv.com and www.dainese.com. Once you’ve finished your submission, send them to info@agv.it no later than midnight on June 28. 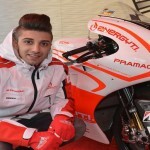 Be sure to visit www.agv.com for complete rules and details. Good luck!